Is a Briard right for you questionnaire? So you are thinking of buying a Briard, congratulations, they are truly a wonderful breed a heart wrapped in fur if trained properly and included in the family. If you could take time to read through the questionnaire and answer it honestly it will help you to know you are making the correct decision and the Briard is truly the dog for you. 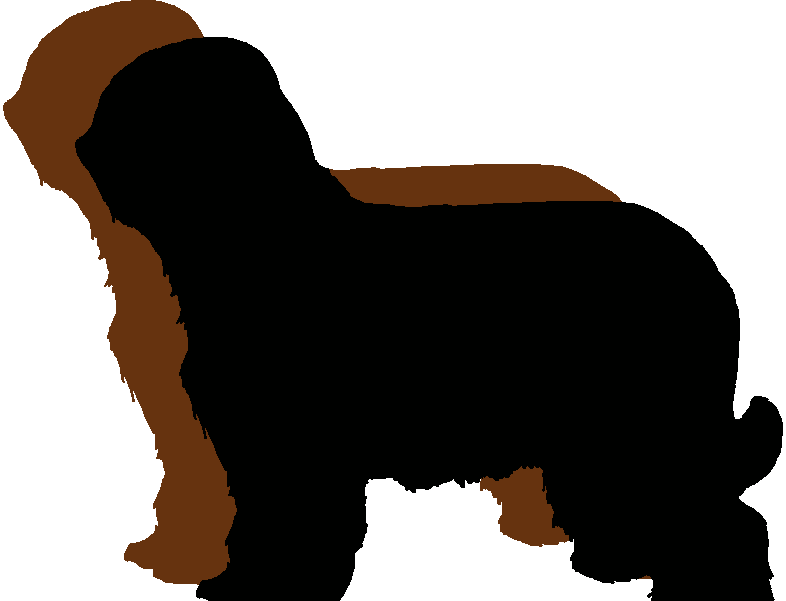 Are you willing to take on the lifelong commitment of owning a Briard average 10 to 12 years? Is your home suitable to accommodate a full grown Briard they are a large dog? Is your garden suitably fenced so a Briard puppy can’t get out onto the road? Is someone in the family willing to take responsibility for exercising a Briard every day come hail rain or shine? An adult Briard should ideally have two walks a day of 30-45 minutes each to include 20 minutes of heart thumping aerobic exercise i.e. chasing a ball or Frisbee. Is the whole family in favour of owning a Briard? Is there someone at home for most of the day as Briards do like company and can become destructive if bored? Briards do like to be part of the family and do not do well in kennels left to their own devices. Will you have time on a daily basis to train and exercise your Briard? Will you have time on a daily basis to groom your Briard approximately 10 – 15 minutes a day? Do you have any other pets and how will they react to a Briard puppy and how will you introduce them? How will your social life or work obligations affect your ability to care for a Briard? Do you have a plan for your Briard during family holidays? Does anyone in the house have allergies that could be aggravated by a Briards fur? If you have or are planning to have young children/baby consider how you will manage a large boisterous Briard with a toddler or with frail elderly relatives? If you are planning to have a baby before your Briard is fully trained will a pregnant lady manage a boisterous Briard they can take a couple of years to calm down depending on the trainer? Are you prepared to take a Briard to training/socialisation classes? Socialisation is a must with guidance all its life. Briards need training and strong leadership and are not for the faint hearted you will need to be committed to a consistent, firm, fair training programme if you are to get the best from your Briard. Do you have the time and patience to work with a puppy through its adolescence, taking house-training, chewing and energy-level into account? Are you prepared to put up with muddy paws, smell of damp dog, and soggy beards? Have you considered your lifestyle carefully and determined whether a Briard would be a match for you? Is your vehicle big enough to transport a full grown Briard? Are you prepared for the expense to insure your puppy for health issues should they arise and third party liability? Have you considered the expense of food vets bills groomers etc. for a Briard they are large dogs? If you can honestly answer yes to these questions then a Briard puppy could be right for you. Within the British Briard Club there are people willing to answer any questions you may have and allow you to visit their Briards at home or at shows or events so you see for yourself how wonderful they are.